Why is Culture Sharing Important for Young Learners? Why are Culture Sharing Activities Important for Young Learners? How I wish I knew then what I know now. Learning about new places can be very exciting, but learning about different cultures brings major benefits to young learners as they mature and can have serious differentiating impacts on their future lives. Fortunately, young learners today have opportunities available to them that we could never have imagined when we were their age. New and exciting learning experiences have come to the forefront of education largely thanks to the expansion of classroom technology and the wider availability of tools and techniques, such as distance learning, to more schools. Distance learning, in particular, has had a huge impact on schooling curriculums all over the world. Specialized classroom video conferencing equipment is bringing noticeable benefits to the classroom environment, as students now have an easy to use tool to meet other young learners from around the world . Teachers can now help students explore something that many older generations never got to experience, the understanding of a culture from around world. So why is culture sharing and distance learning such an important technique for educating young learners? 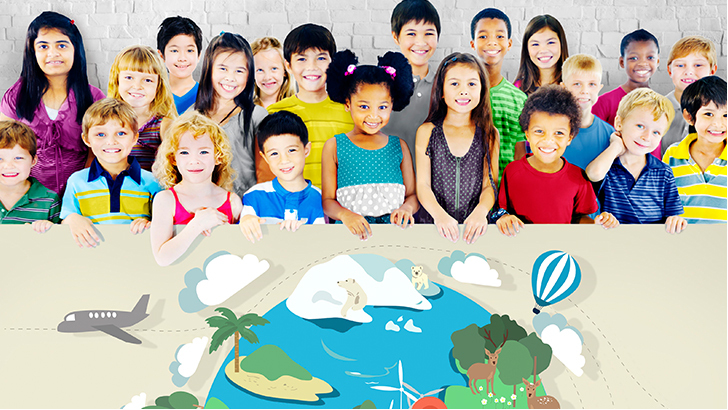 Early introductions to new cultures help young learners become future global citizen. Sometimes you need to get outside of your local neighborhood to truly learn about yourself and the world. 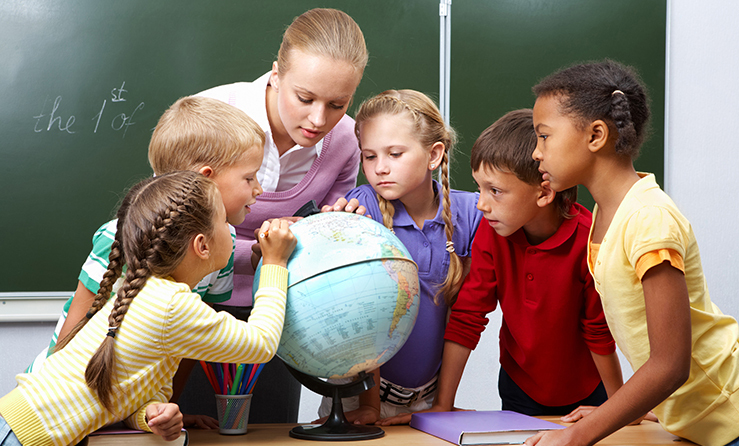 Building an awareness of international customs during a learners formative years is critical in an ever more globalized and connected world. The early stage in a person’s development is perhaps the best time to introduce new ideas and ways of understanding as it can help to combat xenophobic beliefs in the future and can help develop skills that can prove extremely advantageous in students’ future working careers. In fact, the Association of Graduate Recruiters found that companies who are looking for applicants to fill positions face a growing lack of the requisite skills required to successfully engage within the international marketplace. This means that students who aren’t given the opportunity to interact with new experiences and cultures can be seriously detrimentally influenced in their career paths. Distance learning luckily provides a great way to connect and share experiences. Not only do students get to learn from their peers from around the world, but also have a lot of fun while preparing for their futures. Build a sense of adventure for young learners to explore in the future. Many young learners have the knowledge to find a country on a map, but learning geography in class is only one step in truly learning about a region and in order to gain a permanent understanding of a region one must experience its culture. For example, Mongolia may be easy for most students to find on a map (its the big country sandwiched between China and Russia), but I am willing to bet that if you asked those same students what Mongolia is really like they wouldn't be able to give you a close answer. By creating an opportunity for students to interact with a culture, through activities like distance learning, a better understanding of a region can be obtained. Students are able to learn more than just the serviceable surface details of a country and take a deep dive into what life in foreign lands is really like. This is a form of adventure that until recently could never have occurred for young learners. It provides an excellent opportunity to instill a curiosity of new places into students who may have never met someone who was from outside their own country. Who knows maybe one day they will decide to live in Mongolia to learn even more, surprisingly this happens more than you would believe. Cultural understanding has become an extremely important part of a person’s development into adulthood. Learning culture can be a very exciting, fun, and enlightening experience and makes for great class activities in schools. By introducing new cultures at a young age, students learn the skills and cultural acceptance that prepare them for their future with a tempered world view and maybe even an interest in what goes on outside of their neighborhood. Looking to explore the world from the classroom? Find out more about the new digital classroom with AVer!